DAVID LE/Staff photo. 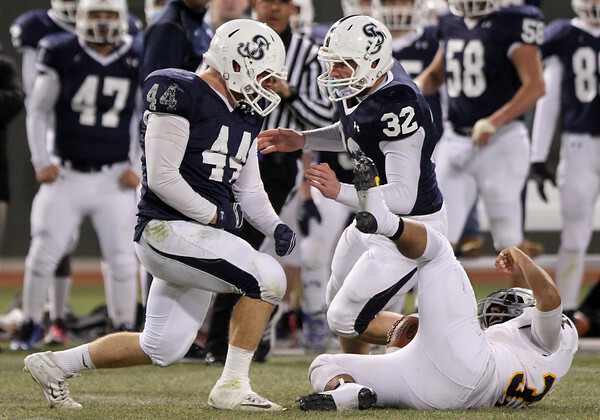 St. John's Prep senior Sean Fallon (44) celebrates tackling Xaverian Devon Piccinin (33) with teammate Jack Lambert (32). 11/25/15.